The Legend of Zelda is a series that has a special place in the videogame industry, and its 30-year legacy gives it a place in pop culture with other icons like Mario or Pac-Man. So it’s no surprise that Nintendo finally decided to remaster some titles that could be considered the best of all time. It started with Ocarina of Time on the 3DS, then Windwaker HD. 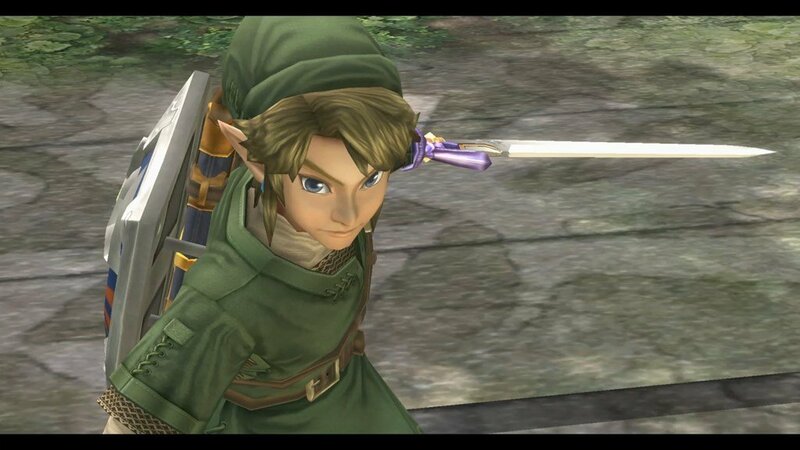 After that, Majora’s Mask got the 3D treatment, and now Twilight Princess gets some love with an HD facelift. But unlike its predecessor on the Wii U, it’s obvious this is an HD port with some minor tweaks, instead of a ground-up overhaul. Surprisingly, the title holds up very well, and the adjustments make it better in every way. Unfortunately, many of the issues that plagued the game in 2006 are still present, but not as noticeable. Twilight Princess is kind of the black sheep of the 3D Zelda titles. It’s darker than Majora’s Mask, has a T rating, and feels like a mushroom trip that went horribly wrong. Aesthetically, Nintendo beautifully blends aspects of the medieval west with Japanese folklore. It makes for a visual experience that isn’t seen in other games. It looks like a Zelda game, but it has it’s own unique style. The towns and people are clearly influenced by 16th century Europe, while enemies and the spirits of Hyrule look more Eastern. Link is the personification of this cultural mix; his clothing and chainmail are western, while the character himself looks like he is straight out of an anime. Personally, I love the more realistic take on Hyrule in this game. It’s a style that isn’t really seen any more in the series, but fans still long for it. The high definition coat of paint makes this look much better, but it still doesn’t look amazing. It’s definitely a port of a 2006 game on a console that is underpowered compared to its competition. That’s something that bugged me throughout my entire playthrough. But appearance isn’t everything. Part of what makes the series so enjoyable is how polished and well-rounded the games are, and Twilight Princess is no exception, to an extent. The game is a basic three acts. The first introduces you to a Hyrule that’s covered by Twilight, and Link who is cursed to roam the dark world as a wolf, as he brings light back to the land while he searches for dark magic relics to take down a new threat—Zant. In this part of the game, Link jumps between Wolf and Hylian in a very formulaic way. You go to an area covered in twilight, talk to a spirit, look for shards of light, turn into a human, go to a dungeon, get an item to beat the temple and find a fused shadow. There are some points that try to break the trend, but it just highlights how poorly this part of the game is laid out. Playing as wolf link is a chore. It’s akin to the Knuckles stages in Sonic Adventure where you spend too much time collecting light, and not enough time doing what makes Zelda great. Combat was never at the forefront of the series; it was more of a way to add intrigue and some difficulty to dungeon puzzle solving. During these points, combat is at the forefront, and it’s too basic. This portion is not fun, but they managed to cut down the number of droplets you have to find. Despite that, it was still a bore and it really frustrated me. This first act is actually a huge chunk of the game, mostly because the wolf aspects drag on too long, making it feel like filler. Which is a shame, because the human parts are really fun. The first few dungeons mess with elements and even gravity. You get your claw-shot and arrows pretty early and finishing a temple and destroying the boss is always so satisfying. Fortunately, in the second act, the game picks up steam. 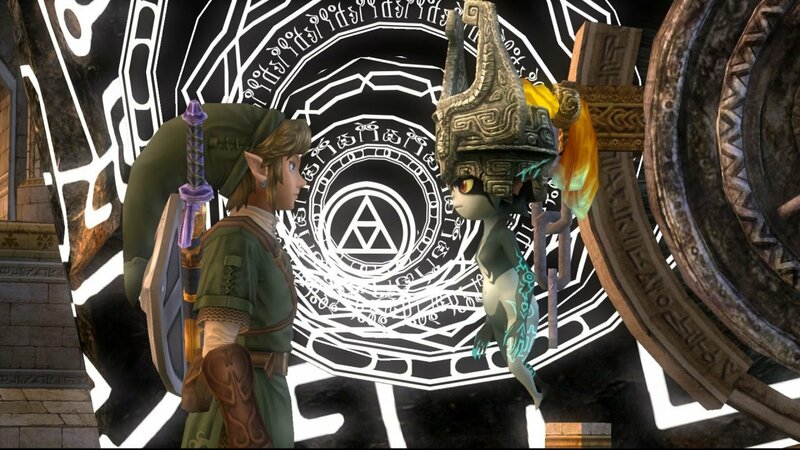 It explores Midna as she desperately searches for shards of a broken mirror to go back to the twilight realm. This point explores the character a little more; it makes her fully realized instead of a sassy creature that rides on your back. I love this part of the game; it’s filled with some of the best dungeons in the series. During this point, Link can freely transform from human to wolf, all of Hyrule is open, and you can warp wherever you need. All the while, Hyrule castle is surrounded in some kind of magic. No matter where you are you see this castle. It brings back memories of the Moon in Majora’s Mask, but with more emotion. This is where the game hits its stride, but it takes a while to get there. The final act is pretty much in the twilight realm, where Zant is confronted, his plot is thwarted, and everything is wrapped up nicely. Replaying this game was a rush of nostalgia. Most Zelda fans have that one game that takes them back. That one game that holds a place in their hearts. While Twilight Princess isn’t my favourite in the series, it’s the first one I bought with my own money, and it’s the first one I beat from start to finish. It’s also the first Zelda game that not only truly terrified me, it attached me to the characters, and even sympathised with the antagonist in some fashion. In many ways, it’s one of the most complete titles. But in other aspects, it needs work. The game itself is an experience, with truly great moments, marred with some really painful gameplay at points. I mentioned the boring wolf parts in the first act, but it doesn’t end there. The horseback combat is atrocious, and it hasn’t been refined at all. At best, it is playable, but it’s very finicky, and your entire momentum can halt if you’re too close to a wall. It’s frustrating, especially when one of the greatest moments is a horseback battle on a bridge. 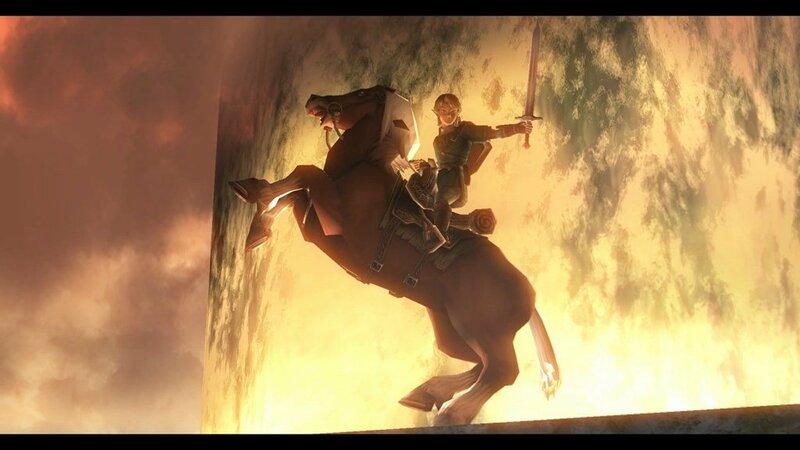 But it’s a concept that was never fully realized because of the issues that come with riding Epona. It’s not enough to really make me hate the game, but it’s a little frustrating. 2006 was 10 years ago; our standards of what makes a great game have changed, and Nintendo should keep up with those expectations. But really, they didn’t update things enough. I love using the Wii U gamepad as an item manager and a map. You also have a 360-degree camera, which is still something I never thought I’d see in a Zelda title, and for the most part it works. There are times when it got stuck on a wall, or shook for no reason, but I love having control of my view. Hero mode is back as well, so you can play the entire game without finding hearts. It makes the game more difficult, but it’s not new to the series. There’s also Amiibo capability. You can use Link or Toon Link to refill Arrows, Zelda or Sheik for refill Hearts, or Gannon to have enemies hurt more when they attack. 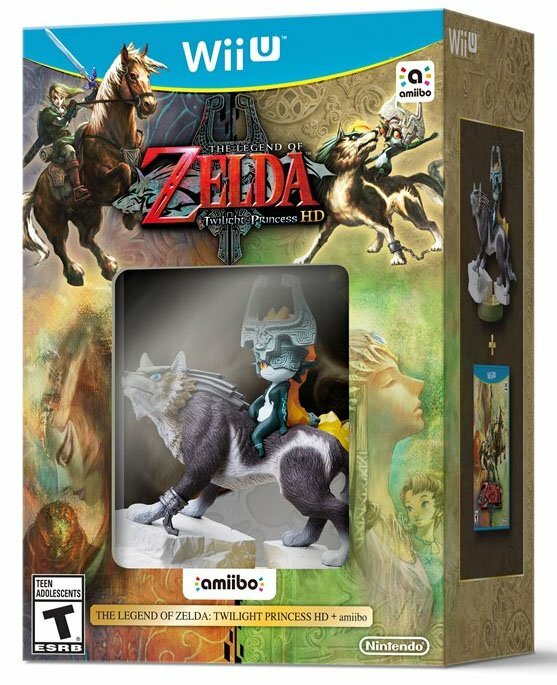 The game comes packed with the Wolf Link figurine as well. This unlocks an all-new dungeon, but I was underwhelmed with this. It was more of an enemy rush mode than anything. It’s a fun time waster, but it’s not the reason to buy this game. The reason you’ll purchase this game is because it’s still a classic, even with its flaws. It’s an okay port of a very strong game, and it’s fun. While it does have some groan-worthy aspects, it has some of the most lovable characters, amazing items, and the best aesthetics you’ll ever have the joy of experiencing in the series. It’s just important to keep in mind that this is a game from 2006 and it plays like it at times. By no means is this Windwaker HD, but I don’t want that. Twilight Princess is still one of the most unique titles in the Zelda library and because of that, it’s in a class of its own. I loved going back to this world. The Legend of Zelda is a series that has a special place in the video game industry, and its 30-year legacy gives it a place in pop culture with other icons like Mario or Pac-Man.